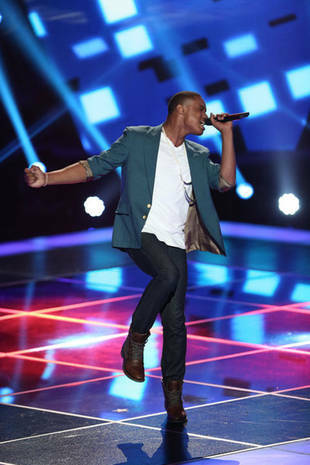 HAMDEN — Before Avery Wilson was a favorite on the musical contest show “The Voice” as a member of Team Ceelo, he was a 13-year-old with a voice. 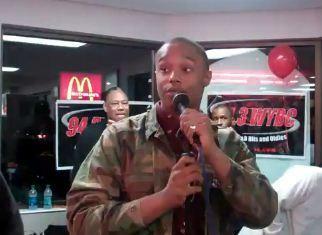 Juan Castillo, the program director and general manager of WYBC in New Haven, said Wilson’s father brought him a track at the radio station. It didn’t take long for Castillo to know this wasn’t any old mix-tape. He said he can listen to a song and know if it’s a hit within 35 seconds. Wilson’s first track, “Ringtone,” Castillo said, was a hit. And, according to Castillo, he was right. The track became quite popular in the regional market — Connecticut, New York, Massachusetts. Now Wilson is a contender on a national talent competition — and this week he returned to his home base to a packed house. Wilson’s home base is a rather unlikely one — not a smokey club downtown or basement recording studio, but the dining section of the McDonald’s restaurant on Dixwell Avenue in the heart of the Hamden Plaza. Gramen Wilson Jr., Avery’s older brother, said his brother got his start at the weekly open mic night at the 2320 Dixwell Ave. McDonalds, which is held every Wednesday. Tonight, he’s back and will be signing until 8 p.m.